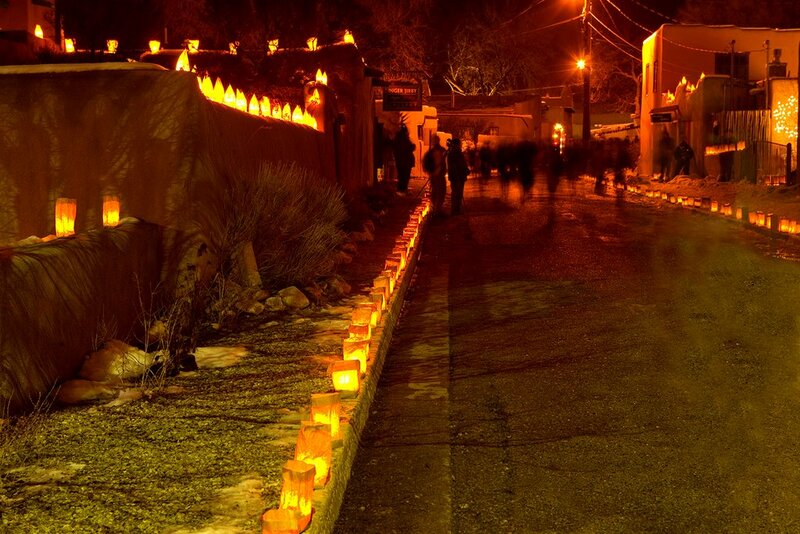 The Christmas season starts in earnest with the lighting of scores of farolitos along Ledoux Street in Taos. Ledoux, one of the town's premiere gallery and museum venues is aglow with the warming light of countless paper bags filled with sand and single votive candles carefully placed to symbolize lighting the way for Mary and Joseph in their search for lodging in the days leading to the Christ Child's birth. Indeed, the ritual is known as "Las Posadas" which means literally "The Inns."